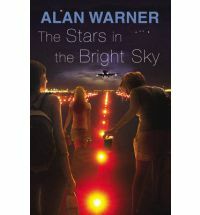 This entry was posted on August 18, 2010 at 5:21 pm and is filed under 2010 Booker Prize, Author, Warner, Alan (2). You can follow any responses to this entry through the RSS 2.0 feed. You can leave a response, or trackback from your own site. DGR: Part of me agrees with you — if one was to judge by only the first 150 pages of each book, this might be one of the greatest Booker years in history (I admit I haven’t checked). On the other hand, when it comes to the last 100 pages……. I’m now starting to think there might be three camps in the jury. One (probably a single judge) argued for this one and The Slap. Another pushed Tremain, Donoghue, Moore. And a third McCarthy, Galgut and Jacobson. The novels in each of those groups are similar, but the prospect of crossover appeal between the three is almost non-existent. If you have this on hand, given where you live, it is worth an hour or 90 minutes to read the first part. Then when the planes from Heathrow are passing overhead every 45 seconds you can look up and construct a story of what is happening on the plane. Gatwick Airport is my idea of hell. A book set in Gatwick Airport just makes me feel ill.
kimbofo: Unless you are willing to explore your version of hell, I would ignore the book. Having said that, international airports are mini-worlds, which Warner captures early in this book. Don’t plan on reading all of it. I haven’t reached this yet in my Booker reading but The Sopranos was an instant favourite of mine when I read it a decade ago; I found Warner’s writing perceptive and his characterisation of (at that time) teenage girls pitch-perfect but then I was also a girl still on the cusp of leaving my teens. I am anticipating that I may not have as positive reaction to its sequel as one would hope that my literary appreciation has matured in ten years. Oh, and I am with Kim: Gatwick is also my idea of hell and it is hard enough to pass the hour before a domestic flight there let alone days (my in-laws spent six days at Schiphol Airport during the recent volcanic ash debacle and I wonder if they could write something fitting for the Booker longlist). The publisher has sent me a copy of this book… I hadn’t realised it was set in the airport. I thought they jetted off to some sunny (and seedy) European seaside town. Now *that* would have been interesting. I suspect I will get around to reading it at some point, but I won’t rush into it. Claire: Six days in the ash would be perfect prep work for this. I did not read The Sopranos so cannot comment on that front. I could see where if you were really into six women in their 20s dealing with each other there might be more here, but I don’t think so. Warner definitely has a lot of strengths and, for me, displayed them early — then he rather got lost in a mess. congratulations on reaching your 100,000 visitor milestone! Congrats from me too Kevin, here’s to the next 100k! 394 pages. Bloody hell. That’s a lot of pages on an airport. I’m sure it can be done, but the result wouldn’t be remotely an airport novel. Oh dear, it sounds like it would have been better at half the length, kept tighter and to the point. I actually thought the premise sounded very tempting. The quotidianity of it. The examination of things we prefer to pass through as obliviously as possible. There’s a lot of potential there. Sadly, here, unrealised it seems. Heh if you think Gatwick is hell you haven’t experienced that torture area called Malpensa Airport. The worst part (and there are awful aspects to this monstrosity) is that some of the gates are hidden in corners in the lower levels and you spend a good thirty minutes searching for them. re Alan Warner – I simply loved Movern Callar but I found The Sopranos beyond Abysmal (yes the capital ‘A’ is on purpose) so when I found out this is the sequel I shuddered. Your review has confirmed my suspicions – thanks. I agree with you. I’m reading this and only have about 50 pages left to go. I loved the first section – the writing was much more sophisticated than in The Sopranos and I loved the realism of the young girls, but it is just too long. I got bored after about 100 pages. I’m interested to see how it ends, but this book really needs about 200 pages cutting from the middle. Sheila, John, DGR: Thanks. I hope the next 100,000 is as much fun as the first bunch was. Max, Jackie, deucekindred: I sure wish his editor had said “give it one more go, this time with a red pencil”. I don’t think he actually would have had to rewrite much (well, the ending for sure), just take stuff out. So if you do pick it up in the airport, Max, I’d say stop after Saturday (or go on to Sunday if you are willing to risk punishment) — Sunday is when they go to the castle and it does have some funny parts, but the diminishing effect is very much in play. And Jackie, do drop by when you have got to the end and let me know if you find it as dreadful as I did.